Cost and covers you as long as you are a financial member of our Union. In addition to this, we are also able to offer an extra $10,000 Accidental Death Benefit for just $2 for the first year. This optional extra is guaranteed renewable every year thereafter for just $5 per year. An AIL representative will contact you to make an appointment to deliver your Certificates and discuss other benefits available. You are under No Obligation whatsoever. .
or freephone 0800 894 121. The Ernest William File Scholarship was established in 1978 by members of the Locomotive Engineers Association as a tribute to Ernest William File, the retiring General Secretary of the Association. The Scholarship was adopted and expanded by the Rail and Maritime Transport Union and exteded to all members. The purpose of the scholarship is to assist the sons and daughters of a financial member of the Rail and Maritime Transport Union (RMTU) to commence study in their first year at a New Zealand university. An applicant must be the son or daughter of a financial member of the RMTU, and intending to hold the Scholarship in their first year of full time study for an undergraduate degree at a New Zealand university. The financial member of the RMTU may be, or have been, the guardian of the applicant. Applications will not be accepted from anyone who already has a qualification from a tertiary institute in New Zealand or overseas. 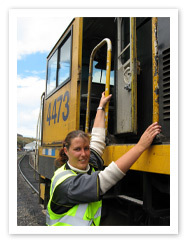 One award is availalbe for the son or daughter of a locomotive running staff member. 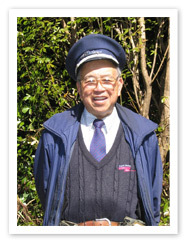 The second award is availalbe for a son or daughter of a non-locomotive running staff member. The scholarships can be awarded to an applicant studying in any field at any New Zealand university. The scholarship may be held concurrently with any other bursary, award or scholarship, provided the rules of the other awards allow this. Each award is for tenure in the year following application. This aspect of eligibility will be checked by the RMTU. RMTU members have access to a network of motel standard holiday units throughout New Zealand at such locations as Paihia, Auckland, Taupo, Rotorua, Wellington, Nelson, Hanmer, Christchurch, Dunedin and Queenstown. The RMTU has negotiated health assurance arrangements for most union members through collective employment agreements and other arrangements. A union health scheme, UNIMED, is available for all RMTU members. A benefit of $1000 is payable by the RMTU on the death of a current member and $500 on the death of a current member's spouse. RMTU members are eligible for membership of the Co-operative Bank, which offers travel, financial and other services. The RMTU strongly promotes superannuation and has jointly established with industry employers superannuation schemes for union members in ports and rail. The RMTU retains lawyers and consultants able to provide advice on issues affecting union members. Test cases are taken where necessary. The RMTU makes representation to Government, both directly and through the NZ Council of Trade Unions, on matters affecting the economic and social well-being of members and their families, and on transport industry issues. The RMTU is involved in employee assistance programmes with many employers. Officials will also help you with personal problems where they can.